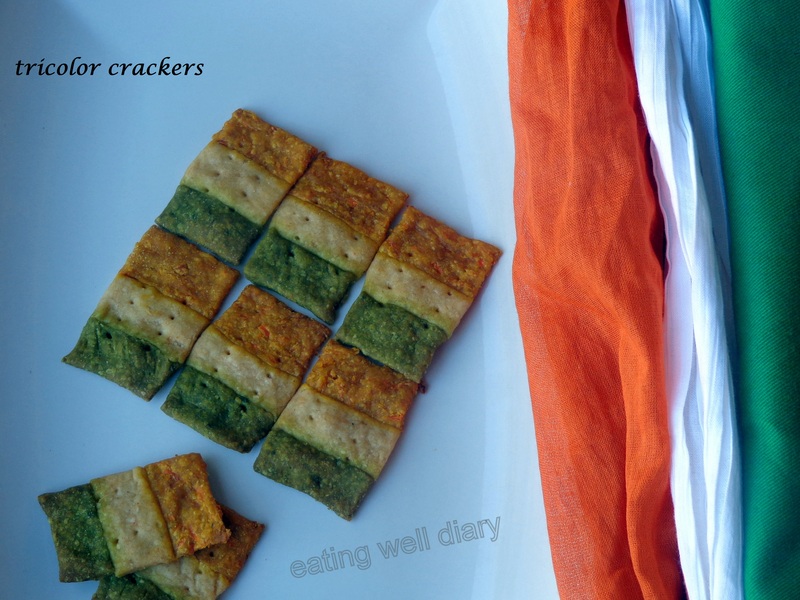 India’s Independence day celebration falls on Aug 15. 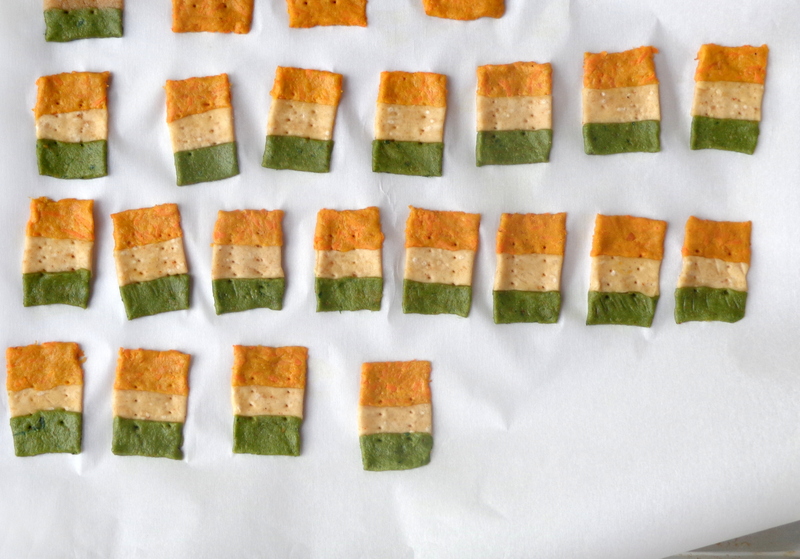 I went about making these patriotic crackers, my first attempt at making a tricolor-themed food. 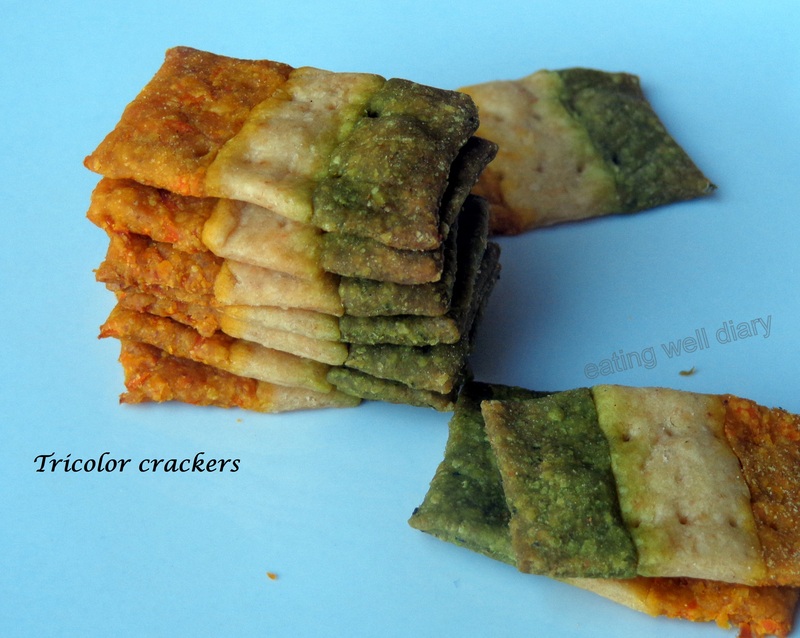 Baked with mostly whole grains and with spinach and carrot as natural food colors, these are healthy AND delicious! As I publish this, I realize this is my 100th post, how nice is that? 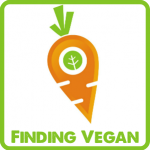 Submitting this recipe to the Virtual Vegan Potluck 7 hosted by the Unrefined Vegan. for green color, pureed spinach- about 3 tbsp. sea salt- 1 1/2 tsp. 1. Puree a handful of spinach and finely grate a carrot. Keep them aside. 2. In a mixing bowl, mix all ingredients for basic dough. It does not contain enough water to form a kneadable dough. 3. * Divide into 2 smaller bowls, add spinach puree to one and carrots to the other. Knead lightly with hand to make a dough, adding water if necessary. 4. Powder cashews and sesame seeds in a spice grinder and mix with 2 tbsp. of the basic dough (made above). Add 1/6 cup all-purpose flour to it. This makes white dough for the middle. 5. 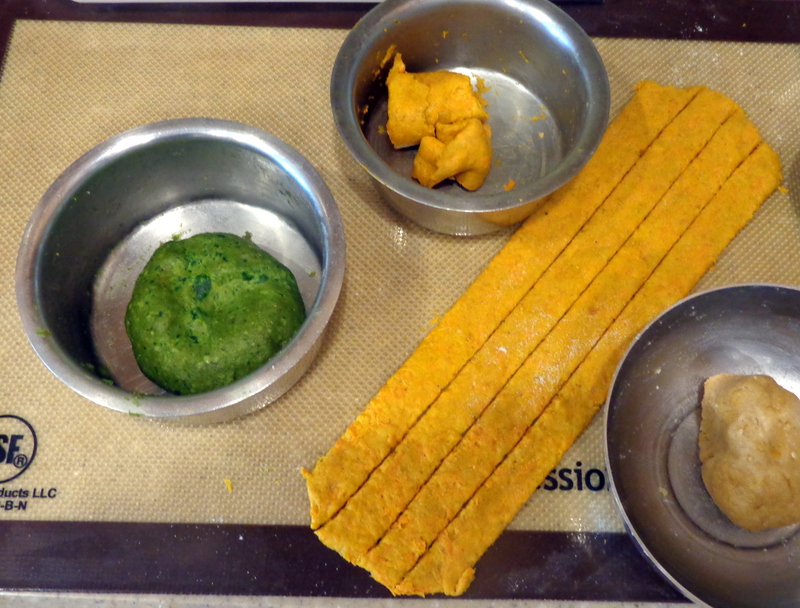 Use a silicone mat or 2 sheets of parchment paper to roll out each dough into a thin layer. Cut out strips with a pizza knife. 6. Place a strip of each color touching each other and gently bind with fingers at the edges. 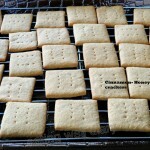 Cut out squares and place on a baking sheet lined with parchment paper. Poke holes with a fork. 7. Bake at 350 °F in a preheated oven for 20-22 minutes. 8. Cool completely before storing in an airtight box or watch them disappear the same day (as I did!). Happy Independence day to you too, Malar! These are great! So festive!! yes, Elaine. I had so much fun making it! Oh my gosh! SOoooo cute!! Thank you, Chitra. Happy independence day to you too! Awesome Apsara ! I am going to try this today ! PS: To make 3 doughs and then make little flags out of them – Enviable Patience!! !